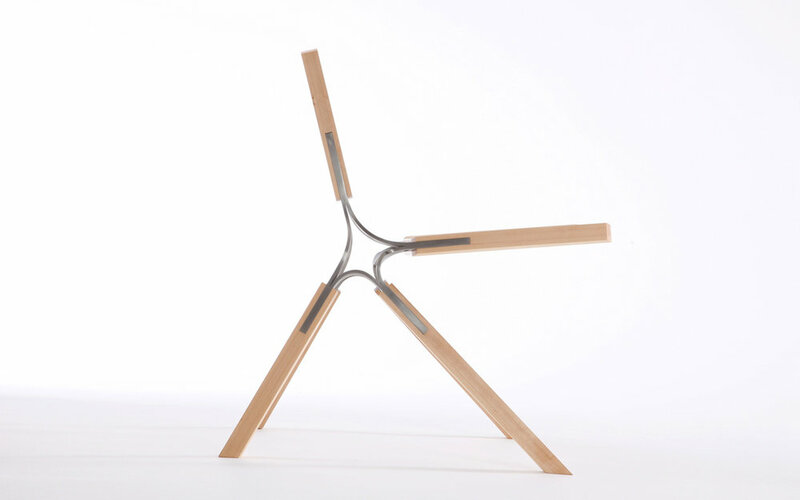 The Synapse Chair distills the joint of a chair into one elegant component. Made from birch and stainless steel. Please inquire about custom options and pricing by emailing info@fireroad.us. Typical lead time is 8-12 weeks.